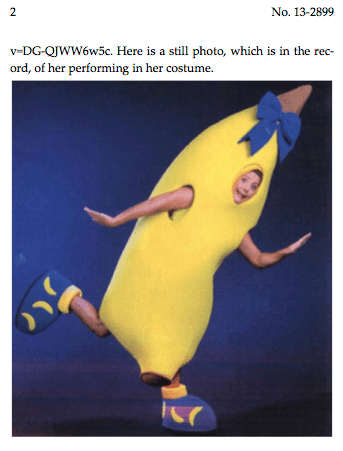 Judge Richard Posner has crushed the appeal of Catherine “Banana Lady” Conrad who sued for copyright infringement over the publication of her photograph in her costume after appearing at parties for children. Posner not only dismissed her case, he encouraged a lower court to bar her from new filings and published a picture as part of the opinion. The picture is now part of an official opinion and court record. As discussed below, The Banana Lady fared much worse than did The Human Cannonball in an earlier analogous case brought under the common law as opposed to copyright. and motivational speaker, see “Bananaland,” www. bananalady.com/about.htm, visited on April 10, 2014, as were the other websites cited in this opinion). She calls herself the “Banana Lady” and performs wearing a costume in the shape of a giant banana. You can watch her dancing the “Banana Shake” on YouTube, www.youtube.com/watch?2 No. 13‐2899 v=DG‐QJWW6w5c. Here is a still photo, which is in the record, of her performing in her costume. spread cheer by bringing laughs into the workplace, home, public engagement, or party. You can hire ‘Marilyn Monroe’ to sing Happy Birthday to your boss, or ‘Elvis’ to sing All Shook Up to your wife on your 10th anniversary!” “What Are Singing Telegrams?,” wiseGEEK, www.wisegeek.com/what‐are‐singing‐telegrams.htm. except for their “personal use,” which she believes, somewhat implausibly, excludes posting any of the photos on the photo taker’s Facebook page. She further alleges that the arrangers failed to inform the audience of the limitation to personal use until her performance had ended, and that members of the audience (including some of the arrangers) took photos and made videos that they then posted on internet websites. 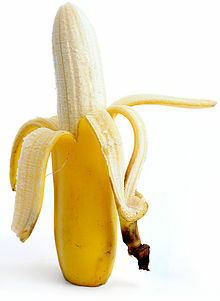 Conrad has copyrights, which we’ll assume are valid, on photographs and sculptures of her in her banana costume. product. See, e.g., “Adult Banana Costumes,” Google, www.google.com/#q=adult+banana+costumes&tbm=shop. I would venture to guess that this is the first time an adult banana costumes site has received a promotional mention in a federal appellate decision. So her suit has no merit. But we cannot end this opinion without remarking her abuse of the legal process by incessant filing of frivolous lawsuits. This is at least the eighth case she’s filed in federal court since 2009, and she has filed at least nine cases in state court just since 2011. (See wcca.wicourts.gov/caseSearchSelect.xsl for a list of cases filed in Dane County, Wisconsin, in which one party is named “Catherine Conrad.”) She appears not to have won any judgments, but she did obtain settlements in the first three federal suits that she filed. She once sued event organizers who mailed persons attending the event a postcard that had a picture of her in her banana costume. On another occasion she sued persons who videotaped her performance but declined to post the video on their website after she demanded a $40,000 license fee; her theory was that the recording infringed her copyright even though she had consented to it and that the individual defendants’ decision not to post the video (and thus avoid paying the license fee) constituted tortious interference with her business. The defendants obtained summary judgment in that suit after enduring 15 months of litigation. She has filed suits in state and federal court against her former lawyers, and once sued her web hosting company for taking down her web site after she failed to pay the bill. The web host had paid $4000 to compensate her for “lost business” while the web site was down—even though it was down because of her failure to pay. She pocketed the $4000 but sued the web host—and in both state and federal court— anyway. Her previous state‐court complaint against persons who are defendants in the present case accused one of them of being “armed and dangerous,” compared him to the Unabomber, and suggested that “someone from Homeland Security or Fort Know” (she must have meant Fort Knox) should take his “threats seriously.” She didn’t specify what those threats were, or whether she meant that he had made threats or that he posed a threat. She demanded that another defendant both admit having been “physically present at the Kennedy Compound located in Boston, MA” (presumably she meant Hyannis Port, not Boston) on the day before or the day of the trade association event involved in this case and produce all her travel documents for those days. The defendants in one of Conrad’s federal suits were awarded more than $55,000 in costs and fees, pursuant to 17 U.S.C. § 505, which authorizes the award of costs, including a reasonable attorney’s fee, to the prevailing party in a copyright suit. She has been sanctioned at least $23,000 in her state court suits on the authority of Wis. Stat. §§ 802.05(3),895.044, and possibly $73,000 more in one of the suits,though we can’t be sure just why her company was ordered to pay that amount to the defendants in that suit. Despite all this and the fact that she hasn’t complied in full (or, so far as we are aware, in part—she is in desperate financial circumstances) with the financial obligations that the courts have imposed on her, the federal district court for the Western District of Wisconsin has continued to allow her to file suits in forma pauperis. It should consider enjoining her from filing further suits until she pays her litigation debts. There is no question that Conrad has filed frivolous lawsuits. 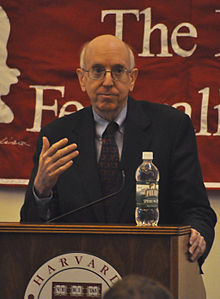 The publication of the picture as part of an official record was clearly intentional by Posner. Now, as part of the opinion, it is part of a government record in the public domain. (In case Conrad is thinking of suing Posner or the Seventh Circuit, it is subject to publication if made part of the record on the docket and not sealed for purposes of trademark or trade secrets etc.) If that does not reduce Conrad’s abusive filings, the threat might do so. However, is it appropriate to bar someone from the courts? I can well understand the imposition of penalties with interest for abusive filings. Yet, I have always had qualms about judges barring individuals from access to the courts. The solution seems to rest with contempt sanctions if sanctions are not paid or orders not carried out by problematic plaintiffs. This case touches in part on “loser pays”. What if the loser is poor and cannot pay? Does this mean that the loser is hereby banned from court from not paying? If not, then loser pays is really another tax on the rich, but if so, then it will lead to serious injustices, since a poor person who has not paid the legal fees of the winner could not then seek redress for legitimate harm in the future. Without such a ban, it would encourage still more frivolous lawsuits from the poor, since there would be no real sanction and there is still a chance of hitting the legal jackpot. I don’t have a solution, but here is an example of how “loser pays” failed to discourage frivolous suits. If she were banned from filing further suits until she pays the existing bills, and was then the victim of a car accident, then she could not seek compensation (part of which could then go to pay her legal debts). Now, the issue of *why* she would want to discourage distribution of promotions for her business, such as Facebook video, is a different matter. I’m also (slowly) getting better at this “legal” thing…. because everyone “thinks” it can’t be done. It sounds too self serving to detail how much has been accomplished, how many in jail, the law firms this civil war has forced closure of. HE – Didn’t Make It! because, the Truth is immortal! wow@ laser to respond to your post romney is part of the elite they will never allow you to take away their ill gotten gains and will now gladly do it bold face rather then hide behind their hand picked lackeys who usually do their jobs for them….. The judges actions seem reasonable up to a point but I wonder if he would be so opposed if this woman had counsel. We see frivilous lawsuits brought by lawyers getting no such opposition. Laser, Diane Feinstein tried to take away the First Amendment protection for blogs saying, “They are not like real print media,” w/ her 14 chins swinging in unison as she spoke. Paul Revere, Justice Stevens started that 2nd amendment horseshit. WTF ever happened to retiring gracefully. His ilk HATE the 2nd amendment. (By the way, wonder if anyone knows who Israel Bissel is)? if the 1st Amendment was changed or voided or laid waste?